It sure seems like Cable TV is on the run with all of the cheaper and more flexible alternatives to cable there are. Well, one of the newer kids on the block is DIRECTV NOW. The number of DIRECTV NOW channels you can get is pretty impressive. Depending on the size of the package you have, you can have anywhere between 60 and 120+ channels! It is a little more expensive than SlingTV, but it falls in line with SlingTV‘s pricing structure with what you get. SlingTV offers 40+ Channels for $25/mo as their midline package, and DIRECTV NOW‘s base package is $35/mo for $60+ Channels. So in terms of dollars per channel, they're about the same in value. BUT… if you're an AT&T Customer already, DIRECTV NOW gives you a very compelling advantage over SlingTV (see below). What is the DIRECTV NOW Channel list? 1. 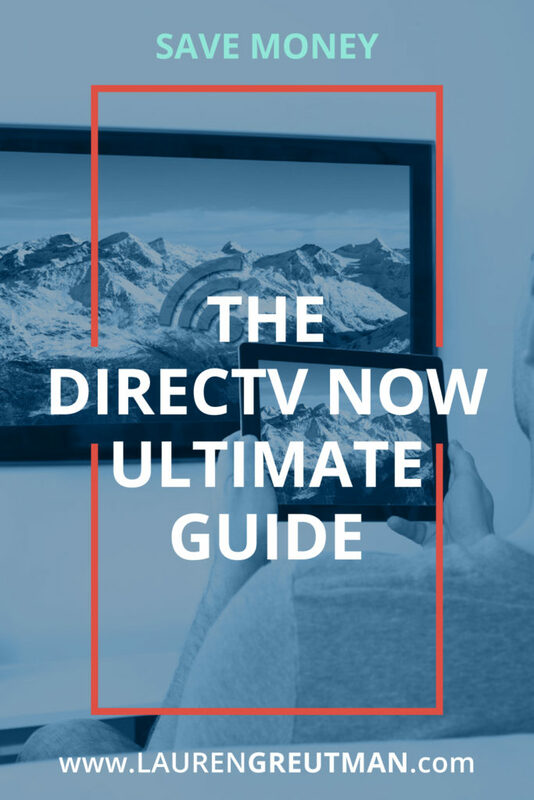 What is DIRECTV NOW? *On Demand Programming means that you can watch pre-recorded shows whenever you want (on demand). Similar to how you watch on Netflix or Hulu. DIRECTV NOW uses many of your internet connected devices to watch shows and movies. But, it doesn't work on ROKU yet… which is kind of a bummer for me. You can view a full list of compatible devices here if you want. On the computer, the interface is pretty slick. You can search by channel, or you can view the guide which shows you what programs are currently live. If you sign up, and you already have AT&T as your phone carrier, streaming in the DIRECTV NOW app doesn't count against your data! Yup. That's right. I'm not talking about your wifi streaming, I'm talking about cell data. So, you can stream whatever you want in the app (like on long car trips) and it won't eat up your precious GB's or make you go over on your data! Unlimited streaming with their app… in a world with ever-increasing competition among streaming services, this is a great differentiating feature! 3. What Channels does DIRECTV NOW have? Knowing the DIRECTV NOW Channel list is going to make or break the decision for most people. What stinks is that they make you sign up for the free 7-day trial before you can really see what channels they offer! Well, I did the heavy lifting for you. Here is the full list of DIRECTV NOW Channels for each package. There's some pretty sweet stuff on there! To check out the full channel list of the other packages, sign up for a free trial HERE. Now, remember that Enjoying life on a budget is important. It's our mantra here! So, I definitely wouldn't recommend using SlingTV or a full cable package in addition to this. If you're interested, you should probably cancel one of (or all of) your other entertainment services before you sign up for DIRECTV NOW. 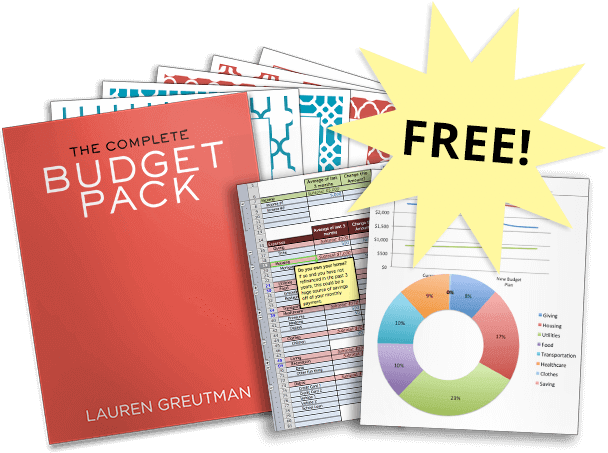 Make sure the plan you decide on fits within your budget. If a $70 cable package didn't fit in your budget before, then a $70 streaming service package won't either. But, DIRECTV NOW, could cut your bill significantly and give you exactly what you wanted without having to pay for a bunch of extra channels you won't use. As of right now, they don’t have it 🙁 But it is rumored that they will pick it up soon. Lauren and I are huge Survivor fans (a CBS show), so we may have to stick with SlingTV for now because of that. Do you know if you can get daytime soaps on Sling? I can’t find mine on Hulu. If the networks have on-demand available, then I imagine you could watch them. But it wouldn’t be a live airing, you would have to wait until the next day. You realize that with a very inexpensive antenna you can pick up free HD channels over the air right? If you do not have an over-the-air antenna, you should get one. Then, you have all the local channels in HD. We picked up an antenna for $50. We mounted it to the highest point of our home ($25 mount which took 10 minutes to install). There is no monthly fee. BTW, in our area (Southern California) CBS has two feeds. There is a primary channel and a channel that shows reruns of previous popular shows. Just wanted to update the part about Roku in this article. I just subscribed today on Roku and it works great. Tried Sling but my Mbps speed was not good enough ( I have 11 Mbps; Hulu needs 15; Sling 25; but Direct TV only needs 7.5 for HD). Deborah, right now you can get a Roku Stick free for signing up. I’ve tried both the Fire & Roku Sticks & find the Roku to be more user friendly. I notice some channels are both live and on demand. What is the difference? Live shows you get to watch at the time that they air. With on-demand, you still get to watch the same shows, but usually have to wait until the day after they air to be able to access them. 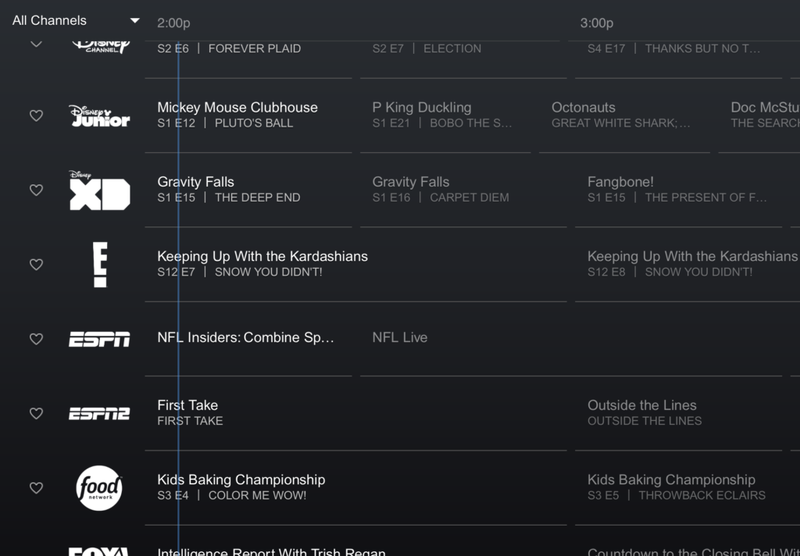 DirectvNow, has made significant improvement in their streaming since it launched in late November. I am happy with Go Big plan at $35 and now getting HBO for free for a year. YEA!!! Do you have to sign up for Direxr Tv packages with AT&T to get the streaming option? Or can you just subscribe to the streaming? AT&T now has the unlimited packages with a hotspot, do you know how those work? It thinking I could cut out time warner Internet and use the hotspot if it really works that way. Hi Christy – the way I understand it is that you only get streaming for free over data if you are using the app on your phone or cell-connected tablet. If you are using your phone as a hotspot, that would still count against your data. And you would just sign up normally… when you download the app on your phone and sign in, I think it would automatically recognize that you are an AT&T customer. I don’t see on sling for $20. ABC or CBS can you get them? I use my antenna for these channels and they can only be watched live. What antenna do you use? And does it really work? Not to be clueless or anything, what is the difference between live and on demand? We pay a lot for DTV, Netflix and Hulu. The only reason we haven’t cancelled our DTV subscription is that we like a handful of shows on the networks. Not much, but enough to continue paying a lot more money than this program you are talking about. Yes, I agree DirectvNow, has made significant improvements and I was surprise to receive an email with the FREE HBO FOR 1 YEAR!! I love my Go Big plan at $35, you just can’t beat this deal!! There are so many options out there that I’ve wanted to look into but haven’t had the time. Do you already have an article about all the different options….such as Roku, sling TV etc? Just to clarify, you can only Directv now with an apple tv device correct? So if we have roku the kids could still watch netflixs but can’t watch direct tv unless on phone b/c we have att? BUT – they have a deal right now where they give you the newest Apple TV for free if you sign up for 3 months. And the cost of the service for 3 months ($105) is LESS than the cost of the Apple TV ($150). I’m actually considering going this route and canceling Sling. Who is giving away the newest Apple TV for free? It is now available thru Roku. I am excited because I am trying it out to see how it is compared to cable. I have had the Roku for a while but miss watching the news live so I kept my cable. I was a little afraid to make the jump from cable but the time has come . And you can still watch DirecTV on your phone without AT&T. It’s just that with AT&T, you aren’t charged for data if you are outside of wifi. But it will still work just fine on all the carriers. I was wondering can you watch local tv broadcasts on Directv or Apple TV. We live in Lake Tahoe and reception is very limited or not at all. I was told by an AT&T rep that if you go into settings and open up your location app and it will reconize your signal location and allow local television broadcast. Is this true or was She just talking thru her hat? Is the “Cast” option available with DirectTv Now? Direct Tv Now works with the Roku. i still dont have CBS wondering why just checking. I really like using DirectTVNow except for one thing. The obvious convenience of cable DVR (being able to record anything cable plays and watch when we are ready)…I have tried using PlayOn which allows recording subscriptions to shows on DTVNow, but MANY of the channels like the Food Network, History, Animal Planet…for example, show all their lineup on live stream, but you cannot DVR many of them — they require a “wait” of a day or so, which I do not mind, but many of their live programs are not ever available for DVR. Hope DTVNow does not do that with their upcoming (and now in beta) DVR service! Lauren, we have 4 TVs in our Home. The main tv and outdoor tv are both smart TVs. The one in our bedroom and guest room are not smart TVs. My husband and. I are both middle aged and need user friendly option. We both own iPads and iPhones. We never have more than 2 TVs in use at one time. How does directnow work with smart/non smart tvs. Do we receive a remote? Can we just turn the tv on and direct now open all the channels? Please explain this in terms this “old lady” can understand. Thank you. Right now I am paying over 220 a month for att uverse. If you have ATT DSL service, if you subscribe to Directv now,. are you charged for the data useage? How can you watch on your Samsung TV? Can you get CBS, NBC and ABC with DirectTV Now? Hulu has 3 key advantages… 1.all local networks in many markets. 2. No commercials for many networks. 3. Use of a “cloud” DVR so you can record anything. All for $44 a month. Why would anyone choose Direct? How do you use this on my smart TV? do they ever actually answer your chat question? Why doesn’t Direct now have a decent screen guide with channels numbered and an easy way to access them. I have to scroll through 60 channels to find the one I want. The favorites function helps a bit but is still clumsy. And I can’t leave one show for another and then come back to the first show without going through the whole process again. If I’m lucky then I’ll be able to resume first show. Does anyone know if any of the packages have GSN, the game channel? Is the $35.00 package the only one that has all 3 Hallmark channels, Hallmark Regular, Drama & Mystery channels? Do you have to have certain types of tv’s? I signed up for the $70 package. Supposed to get free hbo and premiums for 3 months. Cant watch Game of Thrones without you asking f or more money. Cant watch Chicago Fire, you ask for more money. I already pay to get these channels. What’s up with that? An other lie like Comcast??? I called Direct and now I’m told there is no tech support for direct now? Another lie??? I expect a response within 24 hours or I will pull the plug with you. Too. Not going thru another COMCAST nightmare! How does On Demand work? Can I watch a Fox Business show from yesterday or last week at anytime? How far can I go back to watch a show like I can with my DVR? Is there a DVR so I can record and keep shows? please I need to know how I can watch TV now without using mobile data. How so you stream PBS for Roanoke, VA. I live in Danville, VA and watch this channel every day but cannot get it with DirecTV now. Is the CBS network available in rural central Montana at this time? I am an AT & T customer and already have Directv. How would this benefit me and how much extra would I have to pay a month to use the service on my tablets, laptop and phones? Can I set up Direct tv Now on my flat screen tv (not smart tv)? Does direct tv now have a customer service number to talk with a live person? YOu need to update this article, some of the information here is not correct anymore. YOu can use Roku, and they now have network tv channels, etc.